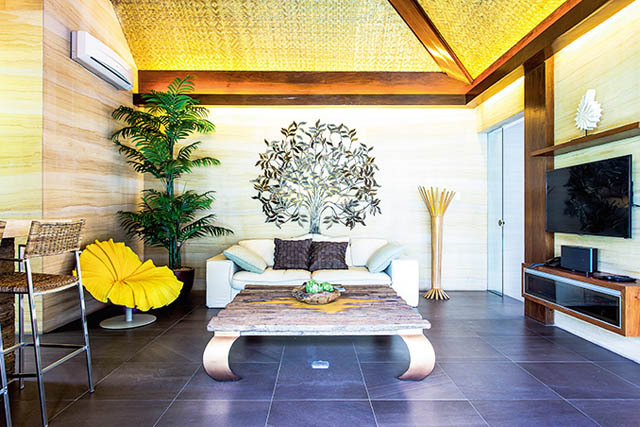 Filipino celebrities’ homes are usually resort-like spaces with all the trappings of luxury hotels. 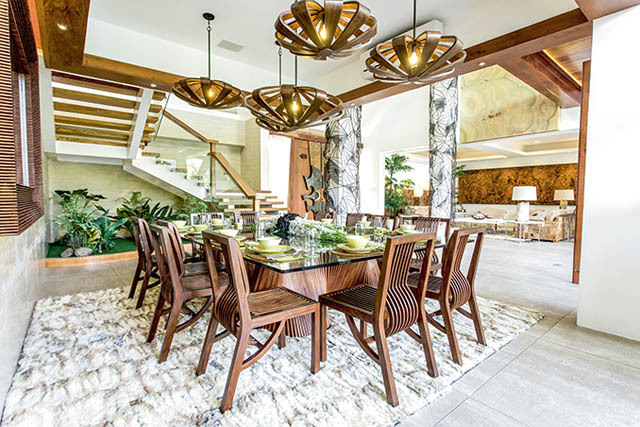 But aside from the fantastic architecture and interior design, it may surprise you to find out that a lot of celebs love to patronize our local furniture designers. We spotted some designs here, and these photos may inspire you to #buylocal instead of getting imported brands. If you follow Heart on Instagram, aside from seeing her beautiful table settings, you’ll probably spot her lounging in a designer chair. One of her favorites seems to be visual storyteller Ito Kish’s Julia high back chair. The Julia is made out of rattan or PE plastic on a metal frame. This black-and-white version of Julia perfectly matches Heart’s outfit! It’s always fun watching Solenn and her husband Nico Bolzico on their video blogs. Aside from their kitchen, we sometimes spot corners of their home in their videos, such as Solenn’s relaxing balcony furnished with A. Garcia chairs and Cebu designer Vito Selma’s modern-boho Alegra Swing Chair. Another showstopper in Solenn’s condo is this dramatic area rug by Iñigo Elizalde. The New York-based rug designer is known for his bold colors and large, graphic patterns. 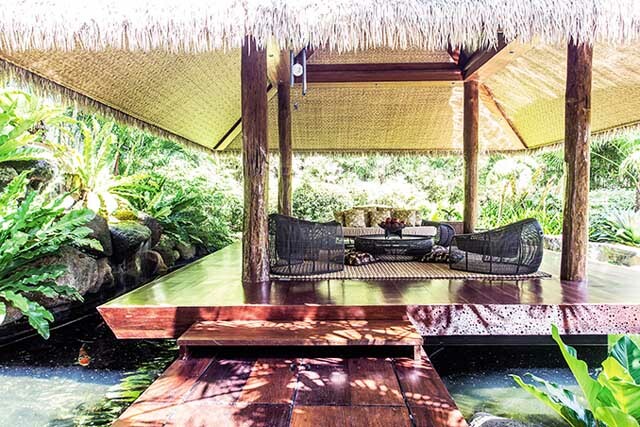 The Ang Probinsyano star’s sprawling, tropical home is chock-full of Filipino furniture designs. His Arata dining chairs are all by Vito Selma, while the dining table base is by another Cebu designer (and design superstar) Kenneth Cobonpue. 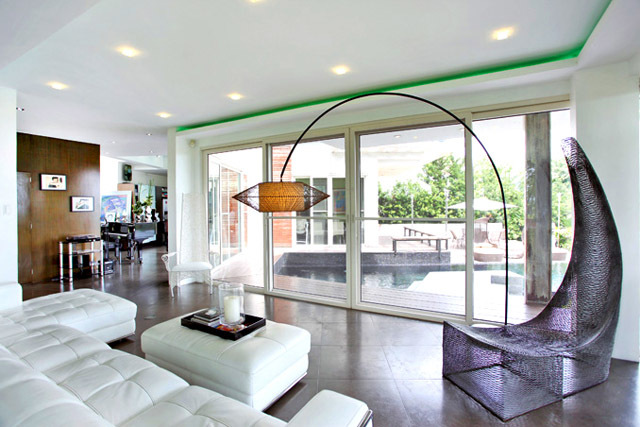 The pendant lamps are by Pampanga manufacturer Triboa Bay Living. Even his outdoor areas are filled with Pinoy design pieces, like this Croissant set by Cobonpue. The Croissant furniture collection won multiple design awards here and abroad. Another Cobonpue piece can be seen in the pool cabana or guest room. The Bloom Chair is made out upholstered fabric petals that resemble a flower. The flamboyant piece accents the mostly neutral room. 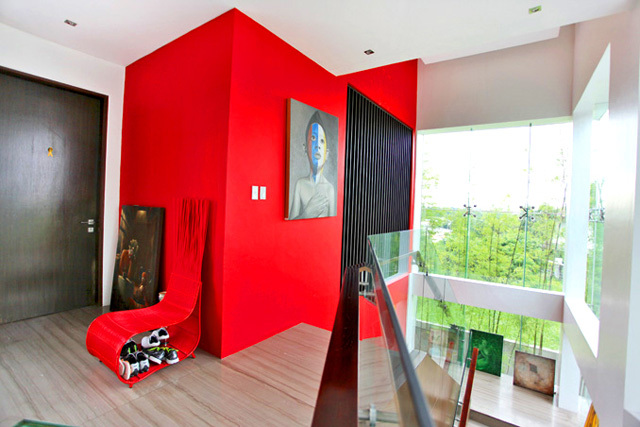 The singer and songwriter couple’s home is a tropical-modern dream designed by architect Anthony Nazareno and by interior designer sisters Ivy and Cynthia Almario, and is the perfect backdrop for these stunning furniture pieces like Cobonpue’s red Yoda Chair. The Yoda uses the natural tension of the material, and rattan “spokes” actually conform to your back. A Cobonpue lamp makes a sweeping statement in the living area, while a forged metal chair by Ann Pamintuan accents one corner. The Davao-born Pamintuan is known for her skills with metal, creating sculptural furniture and décor. Located on their lanai is another Cobonpue piece, the Lolah Capsule Chair. Made out of rattan and fitted with a loose, upholstered seat, the enveloping sides of the chair form a cocoon for the sitter.